Actually, a man sitting at a booth asks for a Coke, to which the waitress replies, “a Pepsi, ok? In the context of a diner where cushioned booths, throwback uniforms and nostalgic menus could make one assume that the more modern approach to making a serving of coffee doesn’t exist there, I’d echo an Okurrr too. like a proper lady sitting in a booth drinking my diner mug of coffee. 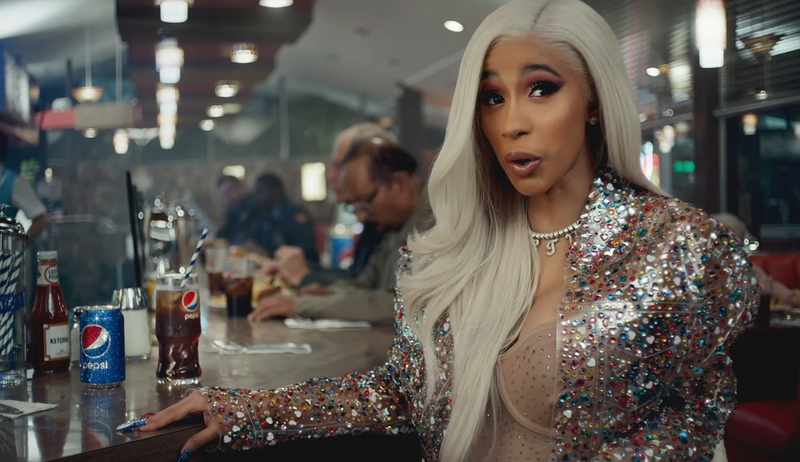 For another cultural moment involving Cardi B’s music and coffee, listen to Ring with Kehlani, which contains a mention to coffee and its hot property, a foil to the hot anger a significant other might experience when they discover that other suitors are wanting to be with the rapper. This entry was posted in coffee and tagged coffee, coke, grammys, pepsi, pour over. Bookmark the permalink.